Jack Curtis Stanley, 80, of Anderson, passed away on January 17, 2019 at his residence. 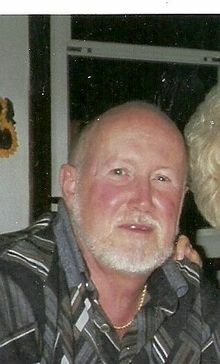 He was born on April 9, 1938 in Anderson to the late Ralph and Cleo (Troxell) Stanley. Jack served his country in the United States Marine Corps, United States Army, Navy Reserve, and the ROTC. He retired from Guide Lamp as a Paint Specialist in 2000 after 30 years of service. He was a member of the American Legion in Anderson, UAW 663, and the American Bowling Congress. He was an avid bowler and enjoyed fishing. He is survived by his wife of 61 years, Iris (Needler) Stanley of Anderson, children, Chris Stanley of Anderson, Michael (Mitzi) Stanley of Kokomo, Jeff Stanley of Anderson; 6 grandchildren, 11 great grandchildren; sisters, Ann (Paul) Nottingham of Florida, Joan Johns of Anderson, Carolyn Conrad of Arizona, Charlotte (Kenny) Stern of Florida; sister in-law, Jackie (Freeman) Beverly of Anderson, brother-in-law, Virgil "Bud" (Pat) Needler of IL, and several nieces and nephews. Jack was preceded in death by a brother, Cletus Stanley; infant sister, Marilyn Stanley, and infant great granddaughter, Madison Paige. A Memorial Service will be held on Tuesday, January 22 at 12:00 pm at Brown-Butz-Diedring Funeral Service & Crematory, 515 E. 53rd St., Anderson, Indiana 46013 followed with full Military Rites. Visitation will be from 11:00 am to 12:00 pm on Tuesday at the funeral home.